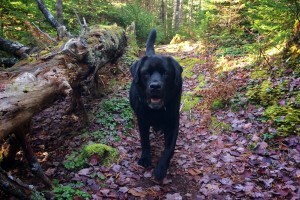 We travelled towards Economy Nova Scotia to do a 6km loop at the start of fall colors season. 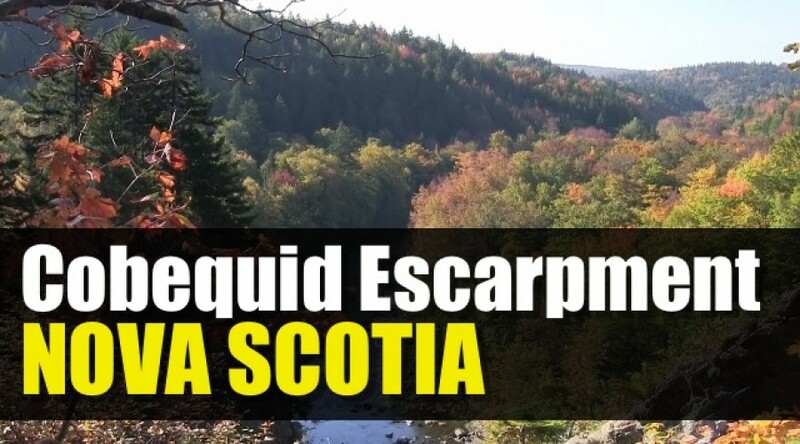 The main trail we wanted to access was called Cobequid Escarpment, but it is a segment amongst the other trails within the system. 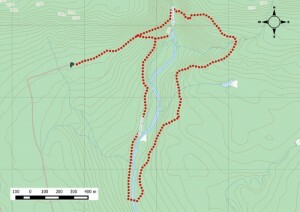 Many would opt to hike the Kenomee Canyon or along Devil’s Bend trails. The common element is that you get to see Economy Falls. 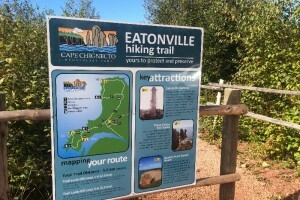 We started out doing the loop clockwise, and crossed the bridge to the other side of the escarpment. The forest was a nice mix of soft & hard woods. The trail was well marked but sometimes you had to double check to make sure. Like when to cross the river again. There’s no second bridge; you had to get wet in order to get on the Devil’s Bend trail and get back to the upper parking lot. Usually the river would be low, but we had a large amount of rain a few days before. Great for the falls, but not for the river crossing as the water reached over my knees along the crossing. Cold cold water. Once my feet dried and my hiking boots were back on, it’s an easy finish to the trail intersection where you can go down, way down to view the falls. Bare in mind that you will have many, many steps to climb, so take your time. This took about 3 hours to complete, bring a buddy. The terrain is not complex, and don’t forget to bring some sandals to cross the river. 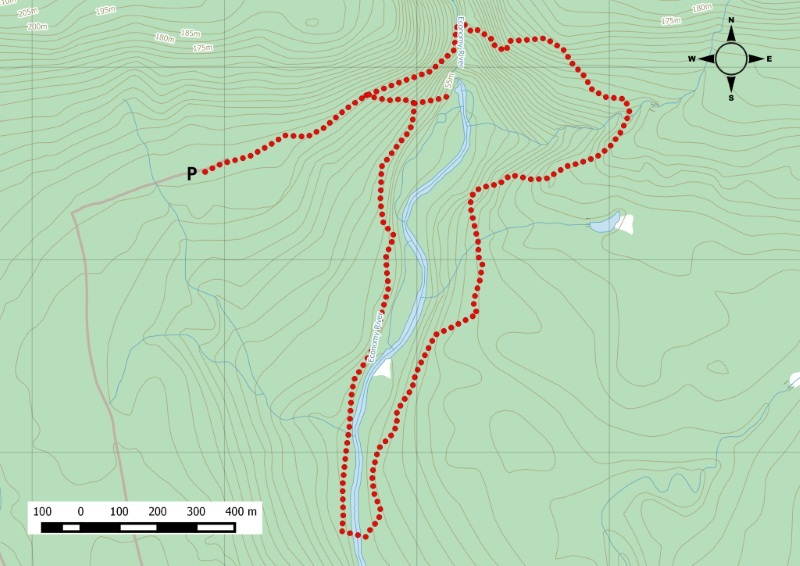 The map for this hike.